The Jones Fracture Headed Compression Screws are designed to treat Jones Fractures. This screw design unites the rotational stability of a headless screw with the compression levels of a conventional headed lag screw. 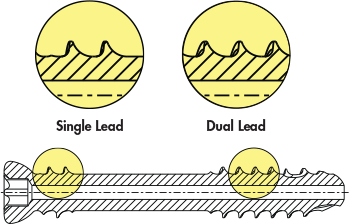 The dual lead primary threads and differential pitch secondary threads provide increased rotational stability of bone fragments, while the uniquely designed low profile head provides improved holding power. 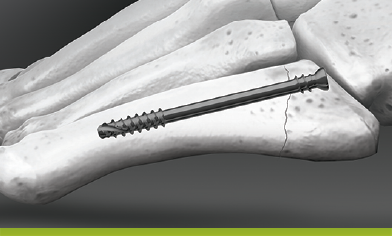 5MS® Jones Fracture Screws are cannulated, and self-tapping for guided/simplified placement. The system utilizes a set of reusable instruments that are color coded for increased operating room efficiency. The differential pitch threads combined with a low profile head apply a compression lock to the fracture and fragment.